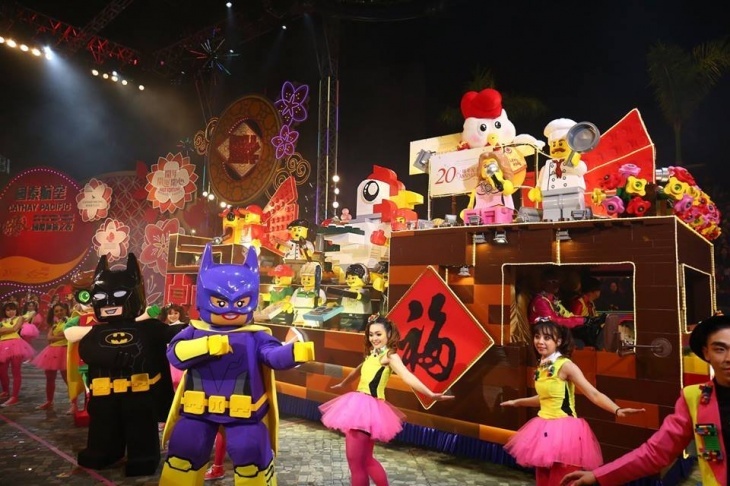 The International Chinese New Year Night Parade is one of Hong Kong’s most anticipated annual events, with fantastic floats and spectacular performances! Lucky you if you’re in Hong Kong during Chinese New Year, the city’s biggest and most colourful festival! Themed ‘Best Fortune. World Party.’, the parade will take place on Chinese New Year day, bringing positive energy to everyone in the audience and a vibrant party to see in the Year of the Dog. This ancient festival also gets a makeover that is uniquely Hong Kong. So, you will experience a Chinese New Year like no other, with a fabulous parade of floats, international and local performers, a stunning fireworks show over the harbour, heart-pounding action at the race track, and so much more. In the Parade local and international performers welcome Chinese New Year with a festive energy that is uniquely Hong Kong. In 2017, themed ‘Best Fortune. World Party.’, the 22nd International Chinese New Year Night Parade featured 10 brilliant floats and over 3,000 performers from Hong Kong and beyond. Over 155,000 visitors and locals came to see the fabulous show. This year ticket sales begin on Saturday, 3 February and are available on a first-come-first-served basis at the Hong Kong Tourism Board Visitor Centre at Star Ferry Concourse, Tsim Sha Tsui (Opening hours: 8am to 8pm daily). Stay tuned for details of the 2018 celebrations!